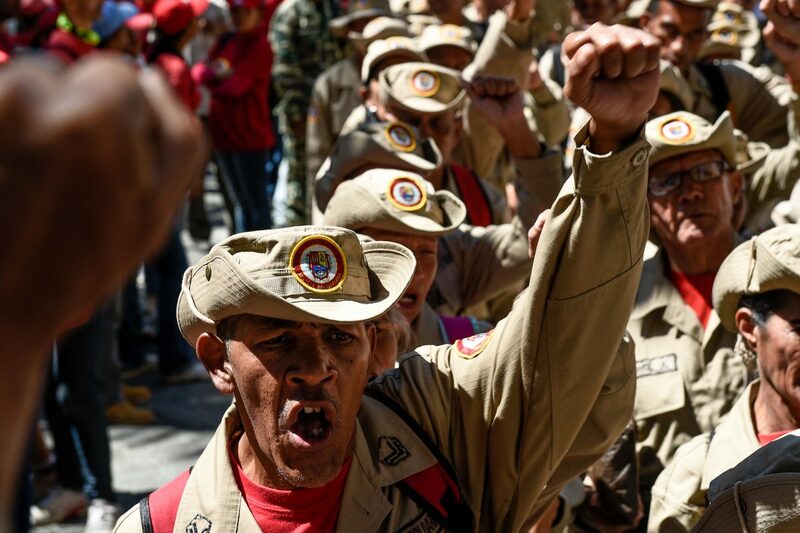 Embattled Venezuelan dictator Nicolás Maduro still has the backing of the military, despite new documents revealing that thousands of soldiers had deserted him in recent years as the regime struggled to temper the erosion of its armed forces. The National Guard is just one of four main Venezuelan military branches, which include the army, navy and air force. Truck trailers and shipping containers were placed to block the lanes of the Tienditas Bridge on Venezuela’s northwestern border with Colombia. And two shipping containers and a fuel tanker were used to block a three-lane border crossing from the Colombian town of Cucuta. 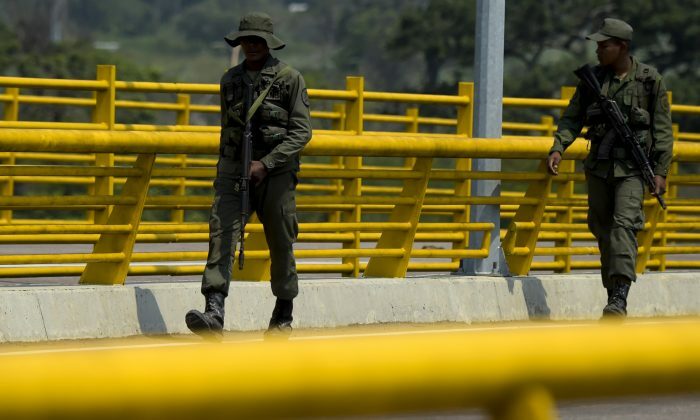 Venezuelan soldiers stood guard and vowed to turn away any humanitarian aid. A U.S. admiral, in the meantime, has said the U.S. military is prepared to protect diplomats in Venezuela if needed. “We are prepared to protect U.S. personnel and diplomatic facilities if necessary,” Navy Adm. Craig Faller, the head of U.S. Southern Command, said during a Senate Armed Services Committee hearing on Feb. 7. Faller did not provide any additional details on how the U.S. military would respond, but he said their rank-and-file soldiers were starving “just like the population” of Venezuela. The admiral also noted that Venezuela had about 2,000 generals, most of whom were loyal to Maduro because of the wealth they gained largely from drug trafficking, petroleum revenue, and business revenue. “The legitimate government of President Guaidó has offered amnesty, and a place for the military forces, most of which we think would be loyal to the Constitution, not to a dictator, a place to go,” he said. The Trump administration also said they were contemplating whether to lift sanctions on military members who side with Guaidó. “The U.S. will consider sanctions off-ramps for any Venezuelan senior military officer that stands for democracy and recognizes the constitutional government of President Juan Guaidó,” White House national security adviser John Bolton said on Twitter on Feb. 6. 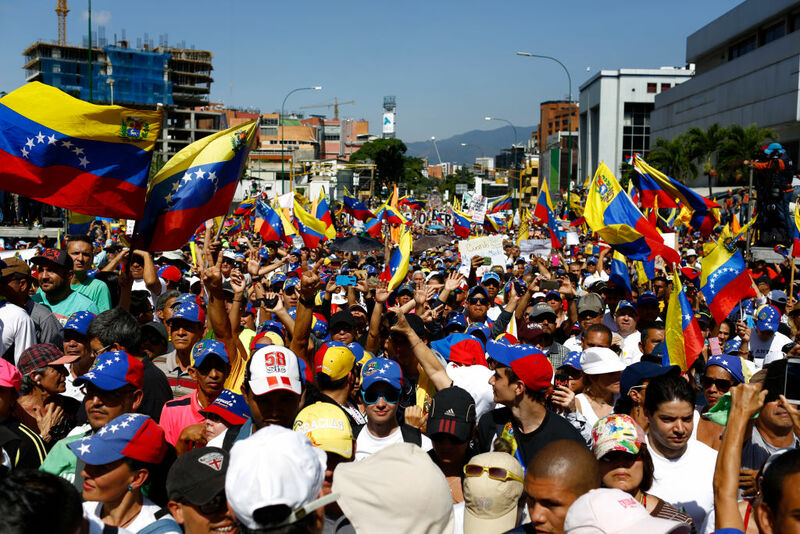 It comes as global pressure against Maduro’s regime continues to mount. 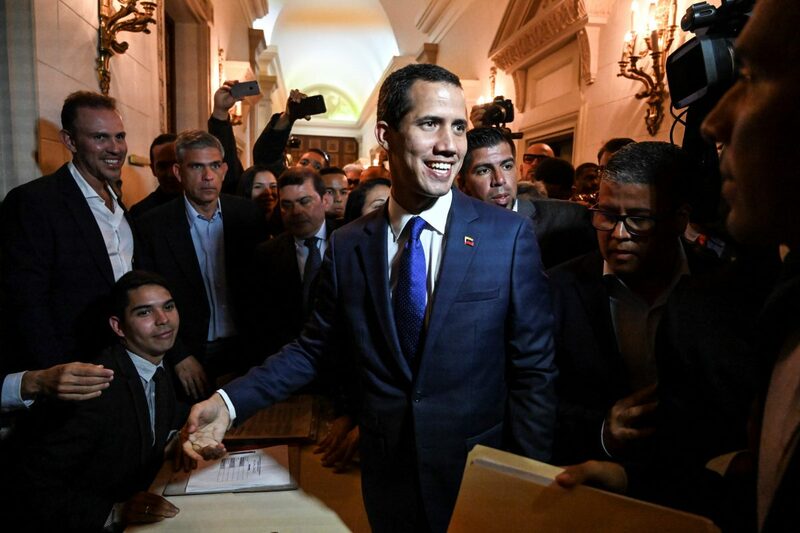 Nine major European nations, including Britain, Germany, France, and Spain, are among the more than 20 governments that have since recognized Guaidó as the interim president. But Maduro still appears defiant, hinting in a speech to supporters on Feb. 5 that the young opposition leader could soon be sent to prison for his presidency challenge.